A while back, we tried counting how many apps were there on the Windows Store, analyzing every month. And if this recent information is anything to go by, then we’re nearing an important milestone in the history of the Windows Store. 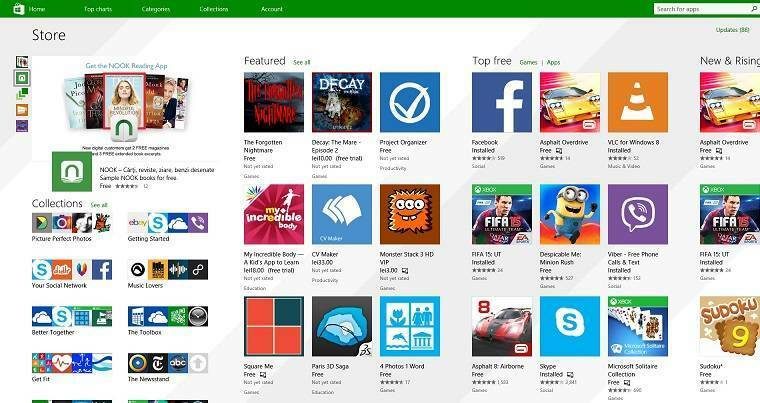 According to a website that deals with analyzing new apps on the Windows Store, currently there are slightly more than 175, 000 apps for Windows 8 and Windows 8.1, but also Windows RT users. Of course, many of them are still cloned and spam apps, but this is a step forward, nonetheless. READ ALSO: New Windows Tablet Dell Venue 8 Pro to Get Price Cut to Just $159? With Windows 10, Microsoft wants to make sure that the Windows Store will produce mainly universal apps that, once bought, will be available on your Windows tablet, but also on your Windows Phone device. And since the Windows Store as we know it will be slightly modified for the next Windows version, it’s important for Redmond to catch developers’ interest. Still, with the Windows Store going forward to the 200, 000 apps milestone, it still has a huge road ahead before it can compete with iOS and Android. And I have already pinpointed that spam and cloned apps are a huge problem. Let’s hope that things will change with Windows 19, which will bring a fresh approach. READ ALSO: Microsoft to Launch its own Smartwatch, Windows on a Tiny Screen?